Researchers from Kaspersky Lab have developed a method of decrypting files affected with the latest version of CryptXXX, a malware program that combines ransomware and information-stealing capabilities. CryptXXX was first discovered in April by security researchers from Proofpoint. In addition to encrypting user files on local drives and network shares, the malware also steals saved log-in credentials from browsers, instant messaging applications, FTP clients and email clients. It then asks for a US$500 ransom to be paid in bitcoins. Researchers from Kaspersky Lab found a way to recover files affected by the original variant of CryptXXX and created a decryptor tool. However, on May 6, CryptXXX authors released a new version that rendered that tool ineffective. The good news for users is that Kaspersky's researchers were able to figure out a way to also decrypt files affected by CryptXXX 2.0. 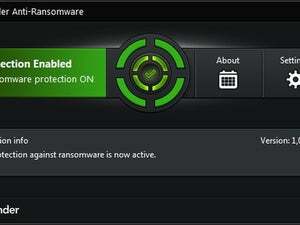 Their updated tool is called RannohDecryptor and can be downloaded from the company's support website. While it's great that ransomware authors sometimes make mistakes that allow security researchers to help users recover their files for free, this is usually short-lived. Sooner or later the malware creators figure out their errors and fix them. Therefore, users should focus on prevention rather than remediation. They should keep all of their software programs up to date, especially browser plug-ins like Java, Flash Player and Silverlight, and they should regularly back up their files to a location that's not always accessible from the local computer. For example, locally mapped network shares are not a good idea, because ransomware programs target those too.